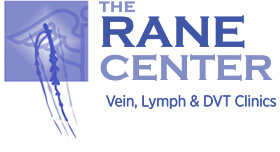 THE RANE CENTER at St. Dominic’s Hospital provides comprehensive care for patients with Venous and Lymphatic Diseases. It is headed by a medical team that has received international recognition for pioneering many innovative venous therapies. The Rane Center harnesses diagnostic facilities and the many resources of St. Dominic’s Hospital to offer modern management for these diseases that are often poorly understood and treated. Nearly 700 patients from 35 different states in USA and some foreign countries have travelled to Mississippi to seek treatment from our medical team for venous problems. Though some manifestations may look deceptively simple (varicose veins), venous disease is complex involving varying combinations of superficial, deep and perforator veins, different pathologies (obstruction, reflux or combination), aetiology (thrombotic, non-thrombotic) and clinical severity. Edema, often mistaken for lymphedema often has a hidden venous basis and may be correctible. Many women with post-menopausal edema often have a venous basis as well. A scientific approach to provide optimal treatment requires thorough clinical and laboratory evaluation and continuing long term follow up and interventions. The diagnostic and venous laboratory facilities of St. Dominic’s hospital provide the necessary support for this mission. This comprehensive approach is unique and has become noted nationally as a model. Only a handful of other facilities in US offer such a comprehensive support. The Mississippi Heart and Vascular Institute (MHVI) Vein Laboratory performs highly specialized investigations for deep vein thrombosis (DVT). The ICAVL requires investigations of the venous system for deep vein thrombosis (DVT) that should not be limited to the femoro-popliteal (groin to knee) veins, but should also include the calf veins and the iliac venous outflow, which are not routinely evaluated in non-accredited vascular laboratories. Studies have shown that the majority of DVT resulting in life-threatening pulmonary embolisms originate in the calf veins. The MHVI Vein Laboratory is devoted to providing excellent physician relations as well as quality patient care. To refer a patient to the laboratory, please contact the Vein Laboratory at 601-200-2765. St. Dominic’s outpatient PT Department is staffed by specialty-trained lymphatic therapists. The facility uses manual massage techniques to improve lymphatic drainage. Patients can be trained on the technique for long-term self use. The technique can be effective as an ancillary measure in lymphedema and may be surprisingly effective in cases not amenable to other interventions. The wound care and hyperbaric center at St. Dominic’s are a highly specialized wound care center designed to monitor, manage and treat chronic non-healing wounds. The dedicated wound care specialists are extensively trained in treatment of non-healing wounds. The center offers Adjunctive Hyperbaric Oxygen Therapy. Dr. Seshadri Raju, Dr. Arjun Jayaraj, Dr. Taimur Saleem and the medical team have focused on venous and lymphatic diseases for over two decades. They are responsible for pioneering new techniques of venous valve reconstruction that is used to treat difficult cases involving deep vein reflux. Their experience with these techniques, the largest in western literature is standard fare in current vascular surgery text books and remains a benchmark. More recently, they also pioneered venous stenting with minimally invasive outpatient technique for use in patients with venous problems that previously required open surgery. Their venous stent series is the largest published experience worldwide. Their innovative technique has been highlighted in vascular publications and forums as representing a fundamental paradigm shift in the treatment of venous insufficiency.